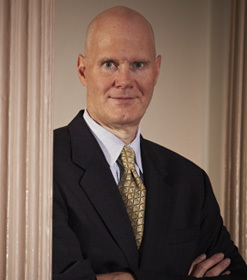 Jeff Brinker tried an automobile accident case in St. Louis City Circuit Court. Fault was admitted on behalf of his client, and the issue was causation and damages. Plaintiff claimed spinal injuries and that he injured both knees when they slammed into the dashboard as a result of the head-on collision. Plaintiff’s spine injuries resolved, but his knee complaints persisted during the four years after the accident. The medical bills totaled over $16,000 and Plaintiff presented testimony from his treating orthopedic surgeon that he needed ongoing knee injections every 1-2 years for the bilateral patellofemoral condition. The jury awarded Plaintiff $15,000, coincidentally the amount of the last settlement offer. Plaintiff’s last demand was $50,000.